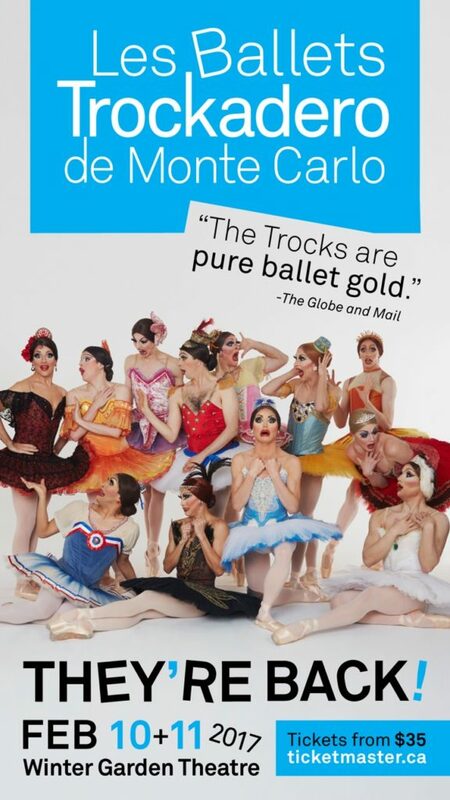 Five years to the exact day of their last appearance in Toronto, the internationally acclaimed all-male comic ballet company, LES BALLETS TROCKADERO DE Monte Carlo will return to Toronto with their breathtaking blend of technical prowess, athletic artistry and perfect parody. For this Toronto engagement, THE TROCKS repertoire will include one of the company’s signature works, Le Lac Des Cygnes (Swan Lake, Act II); the world-infamous Dying Swan scene; the great 19th century Russian classic Don Quixote; the rarely performed La Esmeralda, based on the Victor Hugo novel Notre-Dame de Paris; and one surprise piece to be announced at each performance. What began more than four decades ago as a private joke was so successful it became a professional ballet company with a grand tradition of international touring. To date, THE TROCKS have performed in more than 30 countries and 500 cities worldwide, including Amsterdam, Auckland, Barcelona, Beijing, Berlin, Buenos Aires, Canada, Hong Kong, Johannesburg, London, Moscow, Paris, Rome, Sydney, Tokyo, the United States and Vienna. 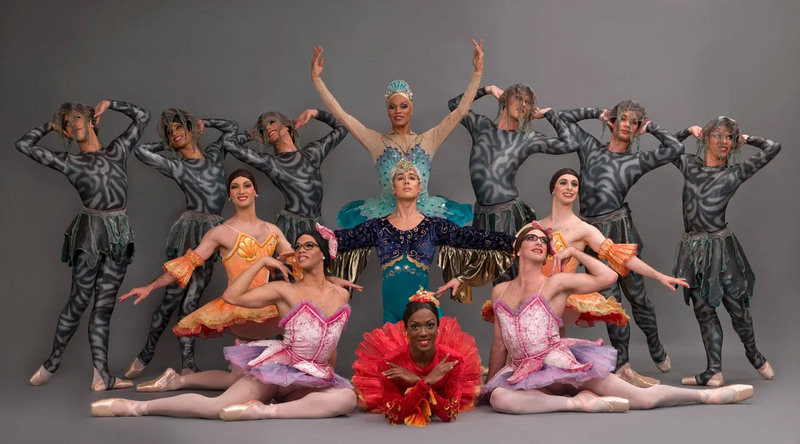 With all the ego, drama and glamour of the legendary Ballets Russes, THE TROCKScontinue to wow audiences with their flawless executions of classical ballet and modern dance, lovingly skewered with pliés, portés, and pratfalls! The Toronto performances are part of a three-city Canadian Tour presented by Show One Productions which also includes Vancouver (January 20-21, 2017) and Montreal (February 18-19, 2017). Other Canadian dates for THE TROCKS include Calgary (January 12-14, 2017), Edmonton (January 17-18, 2017) and Ottawa (February 17, 2017). Show One Productions is a full service Production Company presenting concerts with high-profile classical musicians, opera stars, and orchestras, as well as internationally acclaimed dance and theatre companies. Formed in 2004 by Svetlana Dvoretsky, Show One has brought some of the world’s greatest names before Canadian audiences, including Valery Gergiev, Mariinsky Orchestra, Dmirtri Hvorostovsky, Eifman Ballet, the Borodin Quartet, and more.